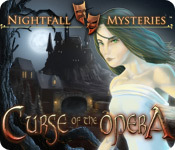 Nightfall Mysteries: Curse of the Opera is rated 3.1 out of 5 by 74. Rated 5 out of 5 by SparkleGlow100 from 40 PLUS HOPS in a spooky/creepy, who-dunnit type game- 1st in the series of the nightfall mysteries OLDER GAME. WALKTHROUGH AVAILABLE FROM BFG. You get to roam around a forsaken town in the middle of the moonlit, foggy night… The crazy characters of the opera are visiting on special request of the creepy Count Vladd Vansig, to prepare for a private performance. Death soon begins to follow the troupe. Spooky atmosphere, but relaxing at the same time with all those stars and fog floating around. Backtracking IS required in this game. Hunting for what to do next IS required in this game. Short cutscenes are used at the beginning and end, but very little during the game. When you do meet the characters they tend to be stationary. I base the 5* on the fact that it was thoroughly enjoyable and was exactly what I was looking for at this time, in terms of pace, variety of scenes and atmosphere…NOT MANIC. That’s why I play a lot of older games. They’re good and offer a different gaming experience. I find a lot of the modern games get boring after the first hour. GRAPHICS: Very nice. Play this game on full computer brightness. Does NOT fill whole screen HOPS: At least a few items are not easy to see per HOP, but sometimes they are just cleverly hidden. Wordlists of 12. Most scenes are used at least twice. PUZZLES: Mix. All SKIPPABLE after a minute. My favorite was the mechanical puzzle you set up to have a knock-on effect. SOUNDS: Music and Sound. The music is appropriately spooky. HINT: WALKTHROUGH AVAILABLE FROM BFG. Hint won’t lead you. A written next step is all you get, and is usually something like “find such and such.” During the HOPS, Hint will find an item for you and then takes 20 seconds to recharge. DIFFICULTY LEVELS: ONE MODE ONLY. JOURNAL: Yes, and NOTEBOOK on other side has tabs for the MAP and TASKS. MAP: YES, but NOT travel. Does have INDICATORS for areas/rooms where there are actions to be done. INVENTORY: NOT lockable. CHARACTERS: I loved the variety of characters, who were thoroughly different to each other. Intermittent and regular interaction. Good voice-overs, but characters remain stationary. Rated 5 out of 5 by roundcanary from The Mystery of the Opera The beginning of the game just pull you in. you just want to play it over and over again. I love the characters. They were very well done and the puzzle were great. I had a lot of fun playing and solving the mystery. Rated 5 out of 5 by SimbaKomba from Good Old Fashioned HOS fun I originally played Nightfall: Asylum Conspiracy which was meant to be the prequel to this one... well apart from using the same characters, the storylines don't match... BUT, the game is fun anyway. 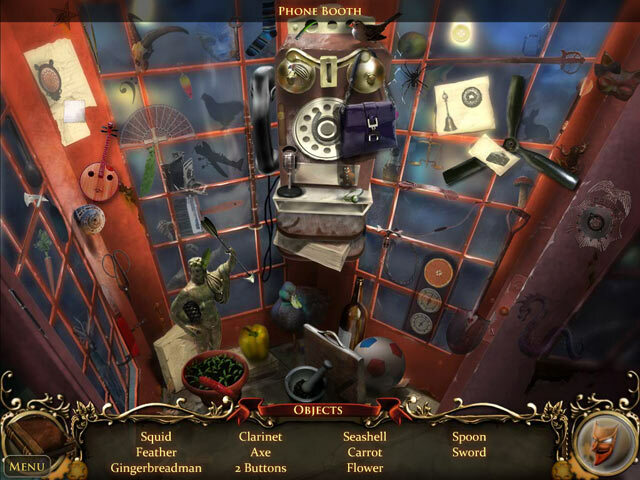 Lot's of Hidden Object Scenes, puzzles and a few little spooks along the way. The game takes about 30 mins of solid playing to really get into it, but once you do, you're hooked.. I recommend it for anyone who enjoyed the first (and best) Mystery Case Files games: Huntsville, Prime Suspects, Ravenhearst & Madame Fate. Rated 5 out of 5 by pchase601 from A fun, unique entry to the series The first game in the Nightfall series is one of my all-time favorites and I really enjoyed this sequel, too, despite that it doesn't follow the same format as the first and third games. Here's the thing: if you don't like HOS, then you won't like this game. It is 90% HO. This is different from the first Nightfall, which was a great adventure game with some HO in it. Personally, I like both types, so I was ok with the change. There is also quite a bit more humor in this game (reminded me a bit of MCF: Madame Fate). Don't get me wrong - I prefer the format of the first game and am glad the developers returned to it for the third in the series. But I also thought the change of pace was a nice "break" in between the heavier, more challenging #1 and #3. And yes, the game is definitely on the easy side. A map tells you where to go next, as do the other characters you speak with. You are confined to a relatively small amount of screens, so if you do get lost, backtracking is a cinch. The puzzles are easy to moderate in difficulty and have a skip button, which charges very quickly. The hints recharge ridiculously fast, too. The HOS were drawn beautifully, crisp and clear, although I agree with some of the reviewers that some of the items were on the difficult side to find (think tiny). One thing I was really, really happy about was that they kept the voice actors from the first game (bravo!) I usually hate voice acting and could do without because it's just terrible. Not so in the Nightfall series. I really like the voice acting in this series and actually enjoy listening to the characters speak. The music, too, is beautiful and very well-suited to the atmosphere of the game. I have two small gripes: first, the makers of the game completely changed Christine's appearance - she looks nothing like she did in the first game (what was wrong with how she looked in #1?) My second complaint is that the story didn't entirely mesh with the first game. I don't want to give anything away, but there are a couple elements to the ending of the game that don't fit in with the first game's story. There is very little mention of the asylum. That having been said, I personally liked the ending and thought it provided another level of insight into the characters and how they came to be where they are. But, I would say that if you haven't played the first game then the ending here might seem a bit like it was an afterthought for the developers. Furthermore, a better intro could have been provided so that those who didn't play #1 could still play the second game and get some of the back story. Anyway, I guess the point I'm driving at is that, overall, I think this game is a fun, unique entry to the series that deserves more praise than it gets. If you like HOGs, try it! You might like it. Rated 5 out of 5 by JulieJay from Great HOPA but storyline spoiled it Brilliant game. Loved the HO's and puzzles/mini-games. Some had me scratching my head but worked them out eventually. Never ever read journals but this one insisted i did so to figure some puzzles out. Might have reformed me as I enjoyed reading through the journal. What spoiled it for me was the change of accents in the characters and ultimately when Viggo/Vincent explained how he met Christine/Carolina. He told it different to how it was told in Asylum Conspiracy. That said, it was just a little annoying as the game itself was brilliant. I'm off to play part 3. Rated 5 out of 5 by planetankh from Great Game. Well Done, Fun & Challenging I love this game. Don't understand the negative reviews. 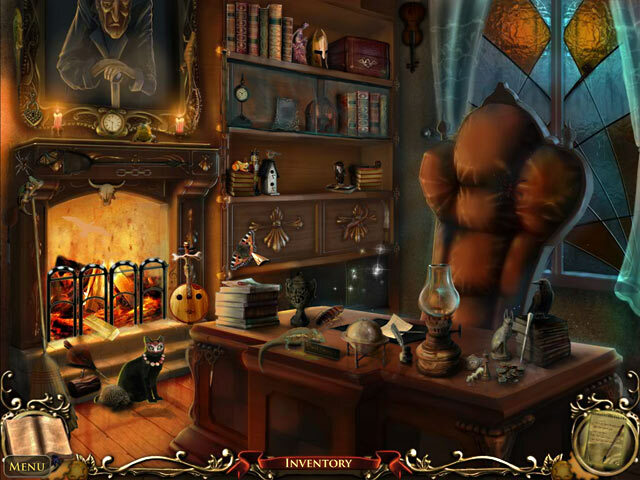 I prefer Hidden Object games that lean more to hidden object scenes & puzzles than adventure. But I like adventure too. This game has the right balance for me. 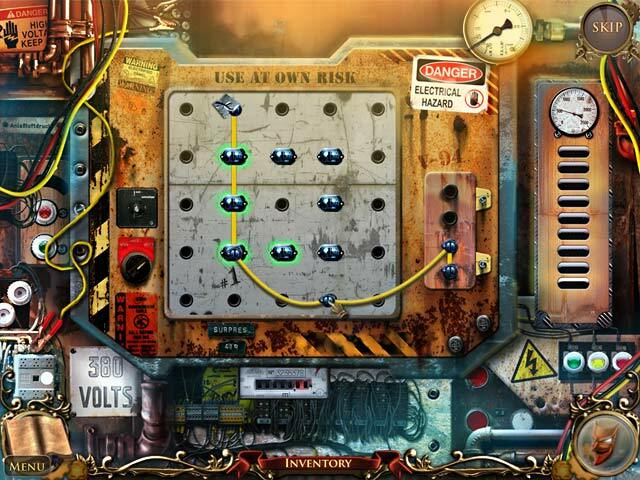 The puzzles & hidden objects can be challenging but I don't enjoy a game if they're not. The graphics, sound & story are fun and very well done. For me, it was one of the few games I've played in the likes of Mystery Files: Ravenhurst. Rated 5 out of 5 by Arbee973 from Very well done I like the Nightfall Mysteries series. It's of a good length and has a great story line and great characters. I guess if you're not a real HOG fan, perhaps this isn't for you. It's not the easiest HOG out there, it's just challenging enough to keep you interested and if the puzzles are too much, there is always the skip button. I am looking forward the next installment in this series, I've played all three and liked them all. Rated 5 out of 5 by linifly from Loved this game Loved playing this game. It is of a good length, kept me going for hours. Maybe just a few too many HOS, but the quickly recharged hint button made it easy to finish them in no time if wished. The story is interesting though a bit morbid to my liking, but not too gruesome :) Definitely recommend buying this game.